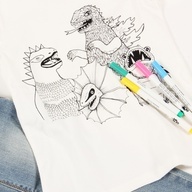 DIY tee’s are the best invented piece of clothing for us. Mini Rodini is making us very happy. 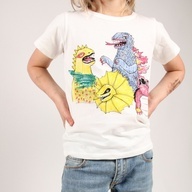 They made this cool Godzilla Tee, which each kid can make very personal. It’s your own ‘colour-writing’. How cool that is! p.s. … with a Global Organic Textile Standard. That’s a big plus! Mini Rodini loves nature! And so do we!